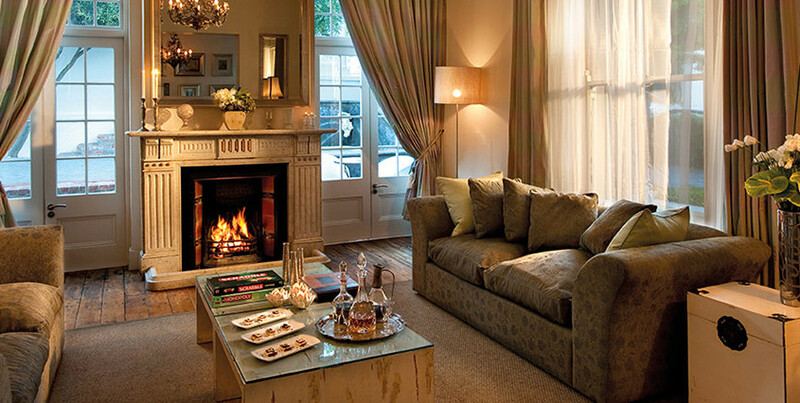 Declared a national monument in 1984, and ideally located in the City Bowl area of Cape Town, the Cape Cadogan is a boutique hotel that evokes the stately elegance of a 19th century manor. The hotel exudes Victorian charm blended with a sort of bohemian-chic flair, and the result is an atmosphere that would make Oscar Wilde proud. The reception areas are individually decorated and designed for comfort and tranquility. The common area features a fireplace (a cozy spot to lounge with a book from the library, and perhaps a glass of wine) and a plunge pool (ideal for cooling off in the summer), not to mention the on-site gym. Each of the 12 well-appointed suites and one villa are decorated with an eclectic mix of contemporary and antique furniture, and feature modern amenities such as personal bar fridge, tea & coffee maker, satellite TV and DVD player. The service is impeccable, whether it is the concierge recommending the perfect restaurant on the Victoria & Alfred Waterfront or the chauffeur offering you a complimentary ride there. Cape Cadogan takes particular pride in sharing the little-known gems of the region, not only hosting you on your journey here, but curating your experience as well (if you so choose). This allows guests to fully appreciate Cape Town as well as the stunningly beautiful Constantia vineyards, Cape Point Nature Reserve and Kirstenbosch Botanical Gardens.